Fans will have two places to enjoy “Bold and the Beautiful” star Anna Maria Horsford’s acting talent soon! 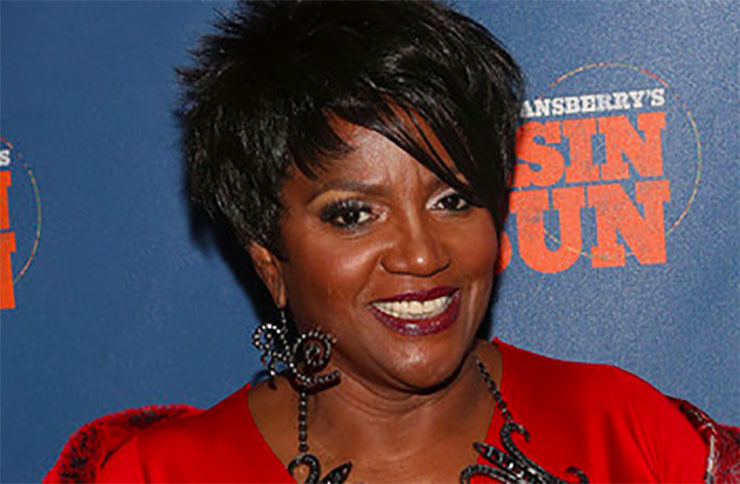 She plays a strong, loving mother on “Bold and the Beautiful,” and soon Anna Maria Horsford will portray a mom in a situation comedy that just got the green light! Meddlesome Matriarch? No Prob for a Soap Alum! Show runners cast Horsford in the upcoming sitcom “Jalen Vs. Everybody.” The yuk fest will chronicle the mis/adventures of Jalen Rose, NBA star and ESPN host. It’ll be a sitcom setup that always brings the funny, as Rose attempts to balance work, a personal life, and the interference of overbearing family members. Those family members include Horsford, who will play his mom, according to Variety. Scroll down to see Horsford excited Tweet on this new gig! Soap Star or Sitcom Star? If we had to call Horsford a soap star or a sitcom star, we’d be hard pressed to pick one. She became a sitcom legend in her role as the petulant but lovable Thelma Frye Gregory on “Amen” in the 1980s. The incomparable Sherman Helmsley played her preacher father, Ernest Frye. Though she has numerous film and TV credits under her belt, to daytime fans, Horsford is unmistakably a soap star. Her moving, layered portrayal of Vivenne Avant has made her enter the hearts of ‘Bold and the Beautiful” (B&B) fans forever. Where Does This Leave Mama Avant? We haven’t seen much of Vivienne on B&B lately. Nevertheless, her powerful presence lingers. And we’re sure she’ll be back as her daughters continue to navigate life, love, and the fashion industry in L.A.! After all, lots of soap stars do acting double duty on other shows.